Blend all the ingredients with a paddle whip until fluffy. Wash mushrooms and remove stems. 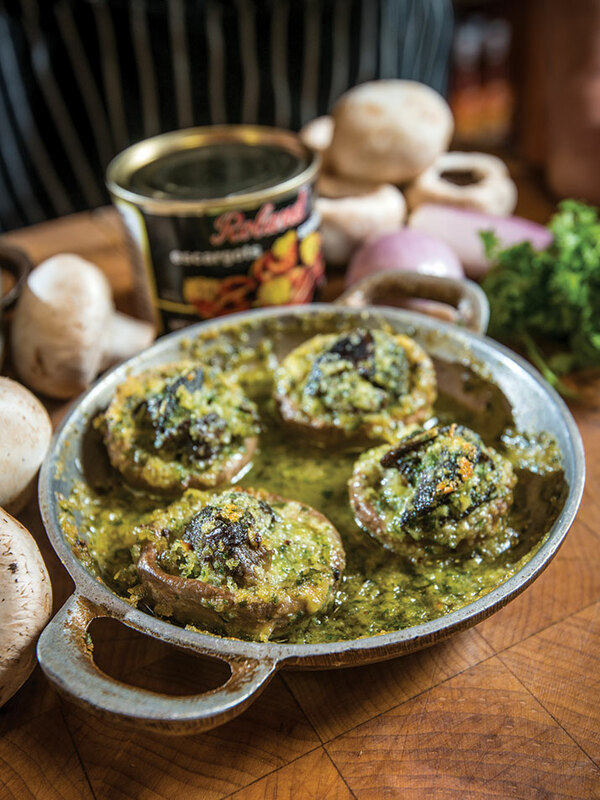 Stuff each mushroom cap with 1 snail and top with a generous amount of compound butter. (Imagine that you are icing a cupcake.) Place in a shallow baking dish or several individual casserole dishes and bake at 375°F until tender, about 15 minutes. Here’s the magic. The breadcrumbs whipped into the butter help to suspend the ingredients and them clinging to the snails. It’s a clever trick that also works well with broiled seafood and even pasta in butter-style sauces.